The National Campaign for a Peace Tax Fund advocates for H.R.1947 - Religious Freedom Peace Tax Fund Act of 2017. Keep up with the latest news about the Religion Freedom Peace Tax Fund Act. 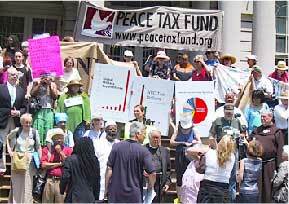 The National Campaign for a Peace Tax Fund advocates for legislation, H.R. 1947, which will protect the First Amendment rights of Americans who have deeply held religious, moral, and ethical beliefs about how their federal income taxes are used for military purposes. Many Americans seek to pay their income taxes knowing they are following the leadings of their conscience. However, a minority of Americans find these deeply held beliefs challenged because of their objection to war. Church of the Brethren, Mennonites, Quakers, and others represent this minority whose religious liberty is compromised when they pay their income taxes. Our government already recognizes the liberty of those who have deeply held beliefs against war and they are exempt from military service. We seek equal justice under the law for these taxpayers. H.R. 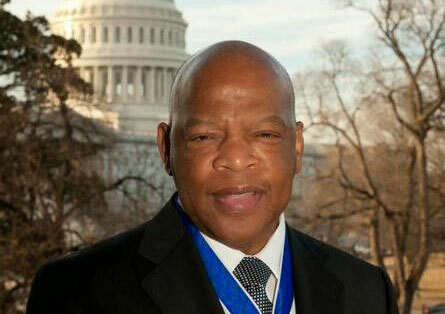 1947 will protect the rights of all as envisioned in The Bill of Rights of the United States Constitution. Find out more about H.R. 1947, the Religious Freedom Peace Tax Fund Act of 2017. Peace Tax Advocates (PTA) build long-term relationships with your district representative and senators, and join others who share your convictions on military spending. Average commitment is 2-3 hours per month. Attending a conference or meeting where participants are open to hearing more about the NCPTF? Willing to set up a table at the event? Let us know and we’ll cover the table registration fees and provide literature. The NCPTF operates from donations and grants. These funds pay for the staff and office needed to give consistency in communications with legislators and volunteers. If you know someone in any of the districts represented on this list who would be interested in supporting this cause, please invite them to join us as a PTA. 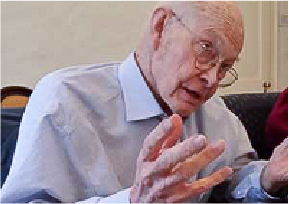 David R. Bassett, founder of the National Campaign for a Peace Tax Fund, is a person of persistent faith and generous wisdom. 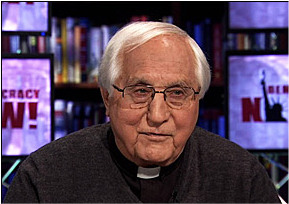 The National Campaign for a Peace Tax Fund welcomes retired Roman Catholic Bishop Thomas Gumbleton to our Board of Directors for a three-year term.